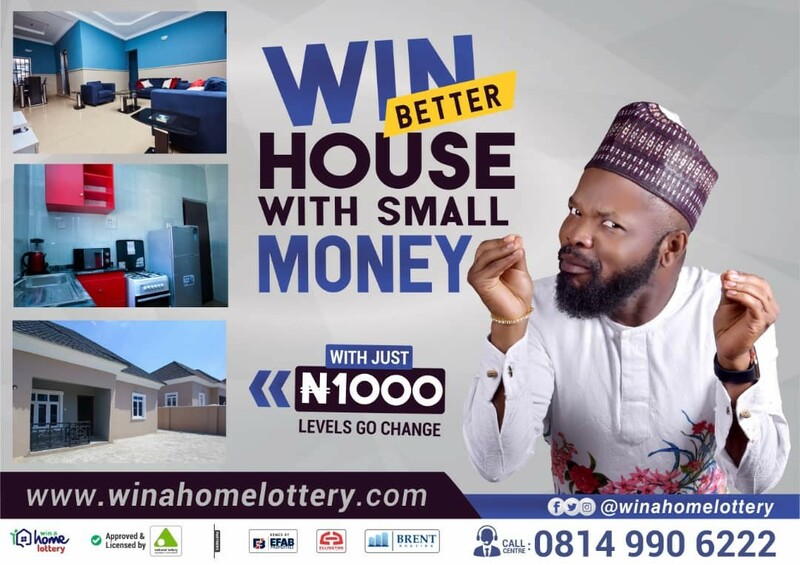 "WIN A HOME LOTTERY" is designed for ordinary Nigerians to play and win a well furnished home in Abuja by getting a lottery ticket for just N1000. Rising sun lotto Ltd operators of "WIN A HOME LOTTERY" has signed Popular Media personality and Instagram sensation NEDU Wazobia as Brand ambassador. This was made known to newsmen In Abuja as they launched the "Win a Home Lottery" campaign. Nedu Wazobia who expressed his Joy on the endorsement confirmed to this numerous followers that the "WIN A HOME LOTTERY" is real and has come to stay. Visit www.winahomelottery.com and follow the easy steps to play and win. You can also call the call center on 0814 990 6222 or follow @winahomelottery and @iamdannysucre on Instagram, Twitter and Facebook for more info.